15% Off Storewide Discount Code Ends Tonight - Last Chance! 'YOUTH' is your special discount code! It's your ticket to save 15% store-wide through midnight tonight. The time is right to fill your freezer with healthy, delicious foods...for less. Weekend BBQ's are one of the joys of summer! There is nothing quite like a grill sizzling with the smells of grass-fed Steaks & Burgers, Pasture Raised Chicken or Heirloom Pork Chops. 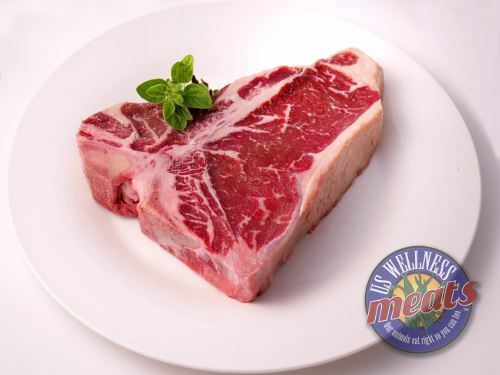 See our Sale Items for specials including T-Bone Steaks and Lamb Denver Ribs. Marla Sarris has a tasty recipe for these in our Recipe Corner. 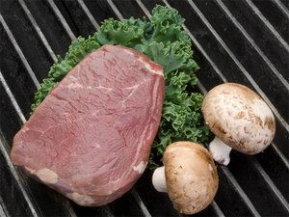 Remember to watch your grill, grass-fed meats require less time over heat. Please, share your grilling memories with us. We love seeing your food pictures. 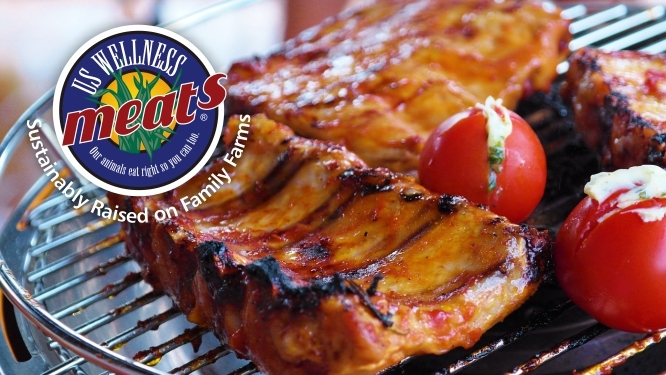 Use the tag #uswellnessmeats when you post your pictures to Instagram so we can celebrate your BBQ success. Save on all of our sustainably raised favorites! Code expires tonight at midnight. Cannot be applied to an order 40 lbs or more. Excludes sale items, volume discounts, and e-gift cards. Please note that discount codes cannot be applied to items already on sale or discounted, and cannot be applied to previous orders. Our normal shipping week is Monday - 10 am (CT) Wednesday. Any orders placed after 10 am Wednesday morning will be shipped early the following week. US Wellness Meats and Fed Ex offices will be closed on Monday, May 28th in observance of Memorial Day. Normal shipping will resume Tuesday, May 29th. Your order is packaged carefully and delivered express shipping through FedEx. See our FAQ link for more details. Lamb Bone-In Breast - Similar to pork belly with loads of grass-fed flavor! Organic Paleo Trail Mix - Loaded with organic fruit, seeds, and nuts...Yum! Scott shares some important weight training information for summer weddings. Learn how to follow some simple routines for a relatively quick body transformation. If you've got a wedding coming up or know someone who does, click to learn more. This year at Paleo F(x) the US Wellness team visited with numerous friends who made the trip to Austin. Several hundred people entered our contest to win a USWM $100 Gift Certificate. We are happy to congratulate Jared C. who was chosen randomly as the winner. Thanks to everyone who entered! Our friend Melissa Joulwan at Well-Fed has put together a wonderful resource for Memorial Day menu prep! Choose from a variety of options to make your Memorial Day gathering a flavorful success! Feast on juicy grass-fed burgers, summer salads and desserts designed specifically for paleo. P.S. Click For Canada Shipping Details. P.P.S. Remember to forward this newsletter to your friends...pass the word! Here's the link to receive our free newsletters. All sale item discounts expire at 10:00 pm CST on Saturday, May 26th, 2018. Scott, I really need to lose 20 pounds of body fat and tighten up in several spots before my wedding in July. I know I need to weight train, but I have no idea of what I am doing and feel very intimidated by the all of the factors involved. Do you have a simple program that is appropriate for women? 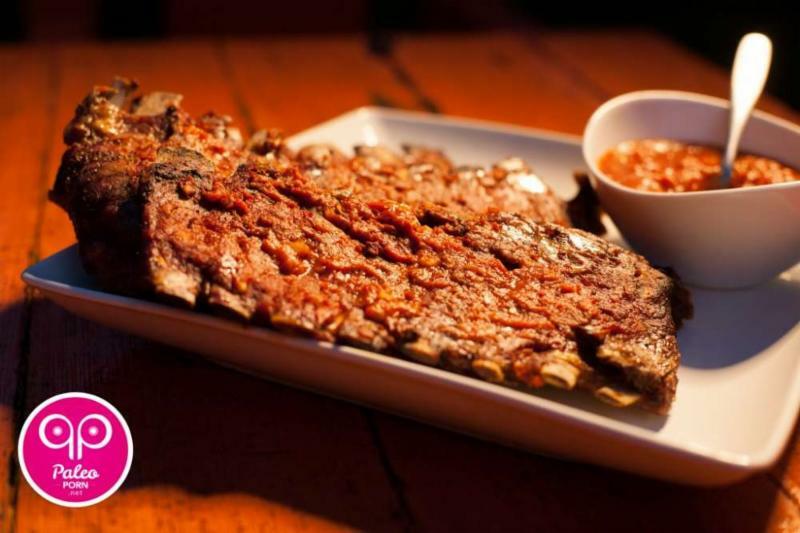 "I love lamb but this is the first time I've ever had lamb riblets. We smoked them with a black cherry juice and fig barbecue sauce... They came out absolutely outstanding! I have already added more into my shopping cart!" Holiday weekends require something special. 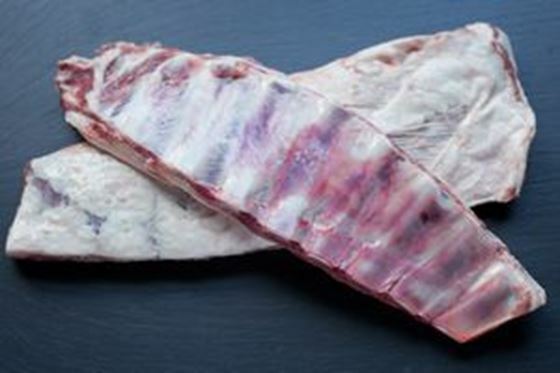 This is a delightfully simple recipe for grass-fed lamb denver ribs that will have your guests smiling through the BBQ sauce covering their face and fingers. Savor the rich, 5-Star flavor of lamb. Cook these low and slow for a mouthwatering treat! A big thank you to Marla Sarris for this BBQ dish. Marla is the co-author of the cookbook, Pigskin Paleo and executive producer of the film, Minimalism: A Documentary About the Important Things. Postcard perfect picture. 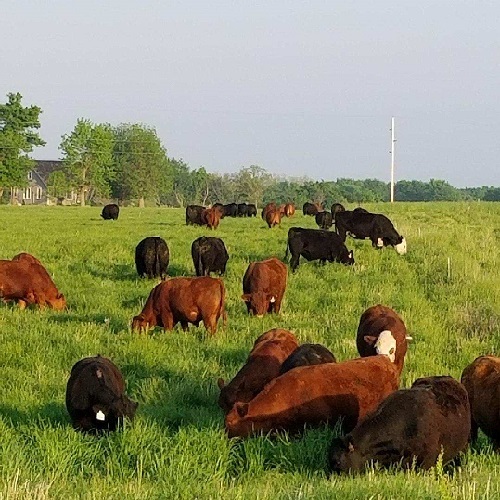 Happy cattle and lush abundant forage. First animals in this paddock since November 2017. Long rest is a wonderful plant and soil building tool. Building soil is a slow process but this picture demonstrates a method of accelerated organic matter growth. 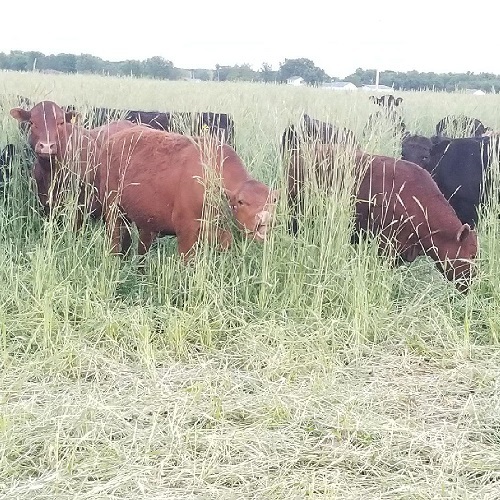 The cattle in the background have just entered a new paddock of tall, rye-grass and hairy vetch. They will eat half and trample the balance into the soil surface to feed the billions of soil organisms under their feet. This is the magic of increasing soil carbon dramatically faster. All orders must weigh at least 7 pounds in order to ship, to ensure everything stays frozen during transit. $75 minimum purchase requirement, since we have built the cost of shipping into the price of each product. You will never be charged extra for shipping. There is a $9.50 handling fee upon checkout. The South Carolina Chicken Bundles, BBQ Sauce, produce and cookbooks ship from separate locations, so they are not included in the 7 lb weight minimum. The shopping cart will keep track and remind you if your order is under the 7 lb limit. Receive a $25 discount for every 40 pounds you order. This offer excludes items that ship separate such as the South Carolina Chicken, produce and fresh bundles. This is our way of saying thank-you for purchasing in bulk! This can be any combination of products totaling 40 pounds and does not have to be specific to any category. Each 40 pound interval will yield the discount - for example, order 80 pounds and we'll take $50 off! Do you need to change your personal contact information or remove yourself from our customer newsletter? To change your contact information click here and enter your email address and store password and you can edit your customer account information. To unsubscribe from this email list, simply click on the SafeUnsubscribe link at the very bottom of this page. U.S. Wellness Meats does not sell, trade or give away any subscriber information. This isn't just an ethical commitment, it's also a legal one. Copyright © 2009 by U.S. Wellness Meats. All rights reserved. The content, design and graphical elements of this newsletter are copyrighted.